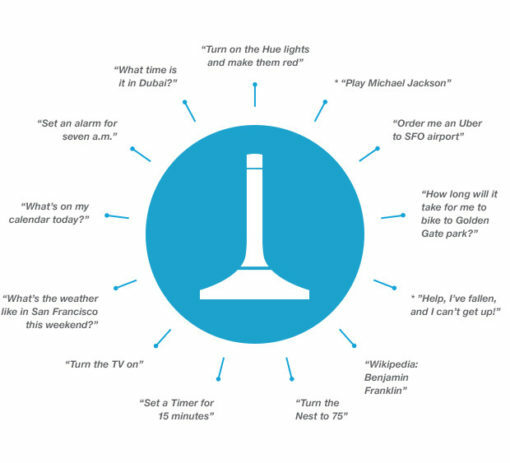 Welcome to the World of Home Smart Speakers! Here we discuss the Top 7 Smart Voice Assistant Gadgets to determine the best Home Smart Speaker. In the world of Home Smart Speakers, the Amazon Echo is perhaps the market leader. 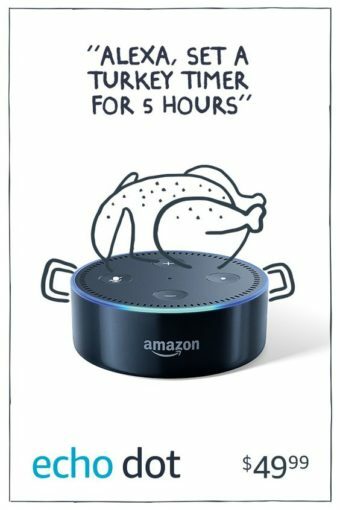 It has the ability to play music, provide food recipes, change the heating in your house, order a taxi, order a takeaway and so much more – all utilising voice commands. It has seven microphones, enabling it to hear you from across the room. Therefore, this device can hear you regardless of whether the room is significantly noisy or not. The wonderful thing about the Amazon Echo is that it never stops developing. It’s regular updates being added directly to the product with little or no effort required from the user. However, nothing is perfect. 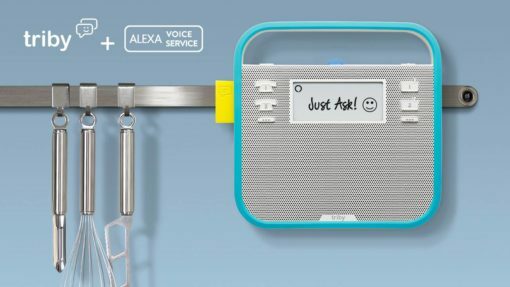 One slight issue with this Smart Speaker is the fact you have to keep it in one place at all times. So, if you want to take it from the front room to the kitchen to ask it about recipes, then you’d have to unplug it from the living room, pick it up and then find an area in the kitchen to plug it into. Another issue people have with the product is its ability to (mostly) only answer factual questions. The Amazon Echo is unable to respond to complicated commands. Bottom Line – Leader in the Market for Simple Commands. Google Home is undoubtedly the main competitor to the Amazon Echo in the Smart Speaker Sector. The main thing that separates Google Home from the Echo is the fact that Google Home integrates Chromecast for media streaming, something the Echo simply isn’t capable of doing due to Chromecast belonging to Google. 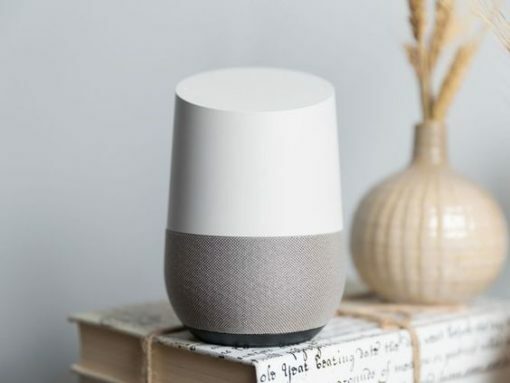 Google Home Smart Speaker also has the ability to answer more conversational and complex commands, allowing you to almost have a real conversation with the product. Perhaps the best feature on Google Home is its ability to send visual information to your phone or laptop. As of very recently, Google Home Smart Speaker is also capable of making phone calls. Google is the most powerful search platform in the world. Therefore, Home’s search capabilities second-to-none in the field of smart speakers and voice-led services. On the other hand, there are some limitations to Google Home Smart Speaker. One limitation is its inability to hear you from a certain distance – something that isn’t as much of an issue with the Amazon Echo. 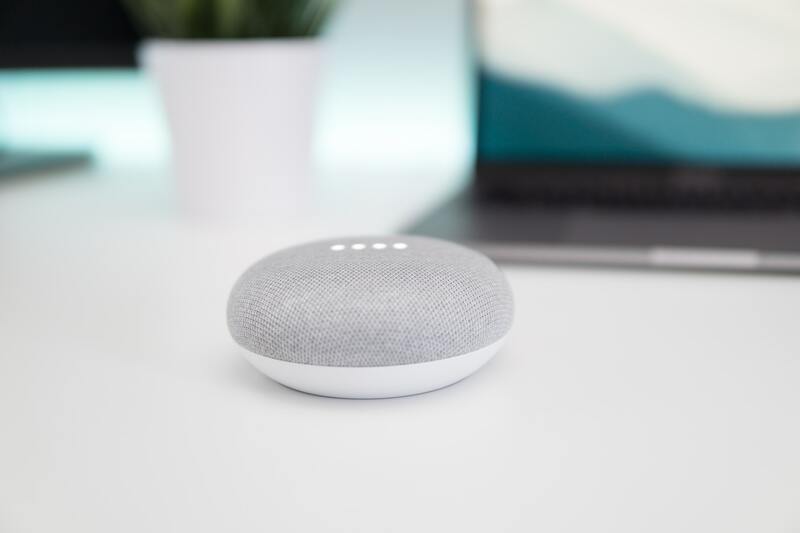 Another problem some users have found with Google Home Smart Speaker is that you are unable to create lists or audio reminders. This lacking feature isn’t a disaster, but is something that leaves room for an improvement. Many people using the Echo find this feature particularly appealing and efficient. Bottom Line – Google Out-wins Competitors on Complex Commands. Triby is a portable Smart Speaker that incorporates voice control. Utilising Alexa, the system an Amazon Echo uses, Triby’s target market is leans towards families. Due to its magnetic body, you’ll often find a Triby on a fridge. The portable nature of the product makes it stand out from the crowded marketplace. When it comes to the home and technology, practicality is always a selling point. Another excellent feature of the Triby, in addition to its ability to play music and make calls through voice commands, is its capability to receive messages from your phone. If a family member is out and going to be late for tea, they can send a pre-programmed message to the Triby (using a Wi-Fi connection) and it will show up on the Smart Speaker. Bottom Line – Family Oriented Smart Device. Links to Third Party Apps. Ivee voice is another fantastic home Smart Speaker. 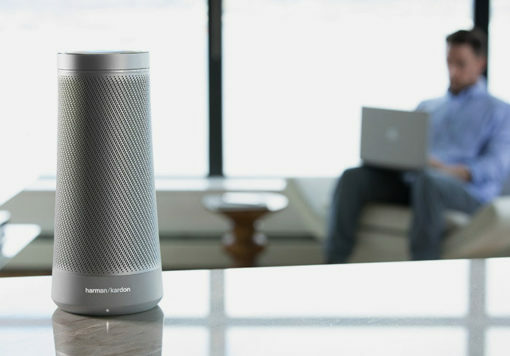 In a similar way to Google Home and Amazon Echo – it has the ability to link with a variety of third party services and apps such as Uber and Spotify. Ivee is one of the smallest voice assistants on the market. Meaning it won’t stand out like a sore thumb in your front room. Also, in comparison to the competition, is reasonably priced. Although Ivee voice does support some third-party apps, at this moment in time it isn’t comparable to the amount that the top Smart Speaker possess’. This side of things will hopefully develop as time goes on. But, for many, it’s probably worth paying the extra money for Amazon Echo and Google Home. Keep an eye out for this one going forwards. Bottom Line – The Best Things Come in Small Packages? Just like the Invoxia Triby, FABRIQ is a battery powered, portable device that incorporates Alexa. Unlike Triby, however, the battery life is excellent and the size of it makes it portable and worthwhile. Although there are no third-party apps on the device, you can ask it to provide information that can be found online, as well as to play music, set reminders and order food. The design of this Smart Speaker is exceptional and would fit in seamlessly within a living room. It’s also one of the cheapest home smart speakers on the market, making it very attractive to people who just want to test if they like having a voice assistant in their home. Considering the price currently stands at £40, there has to be some limitations with this device. One of the problems people seem to have with this device is the need to physically turn it on and wait for it to load. When one of the biggest selling points of these home Smart Speakers is their ability to work completely hands free, it is a slight problem when you have to physically move to turn it on. 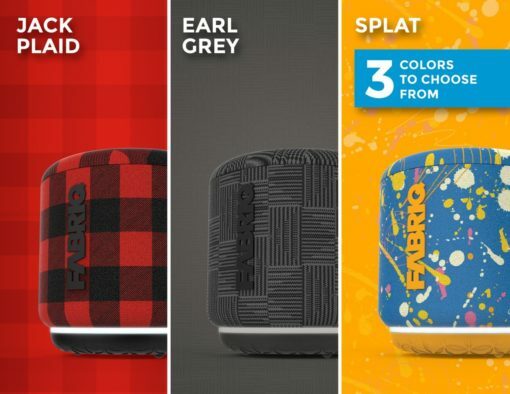 The lack of apps is of course disappointing, but for £40 it’s difficult to argue about value for money with the Fabriq Portable Smart Speaker. Bottom Line – Great Value for Money. It was only a matter of time before Microsoft weighed in on Home Smart Speakers and although this product isn’t officially on the market yet, it will be soon. With Alexa and Google Home dominating the industry, it’s time for Cortana to enter the fray and there’s no doubt it will provide strong competition to the Echo and Google Home. With a better sound system than both of its main Smart Speaker rivals and its ability to make calls from the get go using Skype, it will certainly be interesting to see how this Microsoft product develops when it hits the market in the US this Autumn. Bottom Line – One to Watch! It’s been six years since we first met Siri across Apple products, and at the end of this year we will get to know her better than ever before in the form of Apple’s first Smart Speaker. 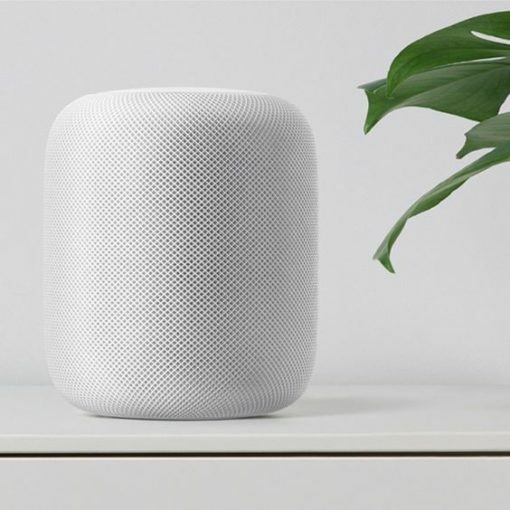 If Microsoft’s Cortana is set to compete against the smart talking heavyweights of Google Home and the Amazon Echo, then so is the Apple Homepod. The device will be equipped with 6 microphones and an A8 chip, a processor more powerful than can be found anywhere else in the market. Only limited information has been released regarding the product. However, one feature that has been teased is its ability to send messages, likely through iMessage. This would certainly set it apart from other voice assistant Smart Speakers. It also possesses spatial awareness, meaning that regardless of where the product is placed in a room, the speakers will ensure that the best possible sound is emitted from the device. But, arguably more revolutionary than this, IKEA have teamed up with Apple to improve shopping experience through this Artificial Reality device. The Apple Homepod is not being released until December. Therefore, we will have to wait until then to see how it matches up to the competition in practice. One thing’s for sure – Apple are entering the voice race of Smart Speakers, and competitors don’t get much bigger. Bottom Line – Another Large Competitor could take the Market Share.